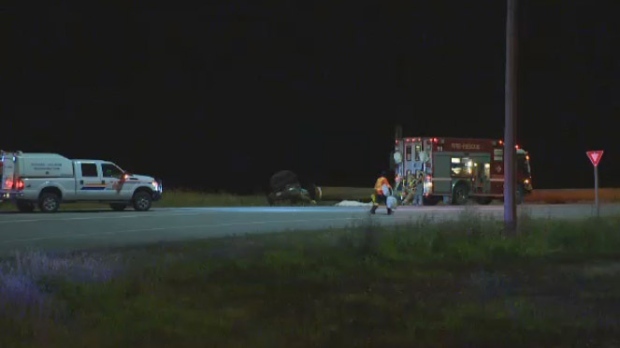 The driver of a semi-truck charged in a fatal collision near Portage la Prairie, Man., is set to appear in court today. Gurjant Singh of British Columbia has been charged with dangerous operation of a motor vehicle and criminal negligence causing death. The charges stem from a crash at the intersection of Highways 1 and Highway 16 in August 2017. A westbound semi carrying a load of pipes on Highway 1 collided with a car heading south on Highway 16. The people in the car — a 19-year-old woman from the R.M. of Alonsa, Man., and a 17-year-old boy from Portage la Prairie were both pronounced dead at the scene.